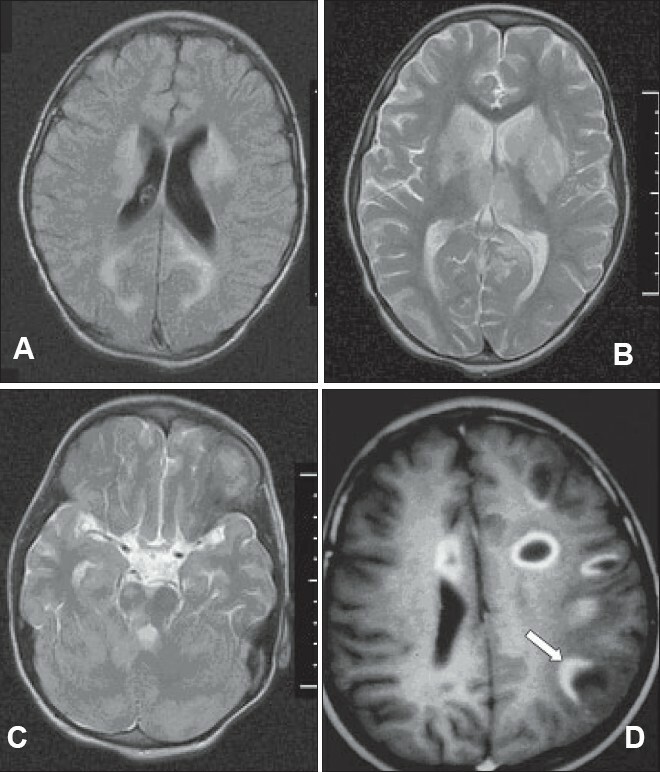 Acute disseminated encephalomyelitis (ADEM) presents as an acute-onset neurological dysfunction following a triggering event such as an infection or vaccination. Patients present with polysymptomatic neurological dysfunction, and imaging shows multifocal white matter lesions in the brain and spinal cord. Clinical evaluation, magnetic resonance imaging, and cerebrospinal fluid study are most useful in establishing the diagnosis and ruling out important differential diagnoses. Corticosteroids are the mainstay of treatment and the role of other modalities of treatment, such as plasma exchange and intravenous immunoglobulin, require further study. Prognosis is generally good. The recently proposed consensus definitions are likely to facilitate delineation of ADEM from other acquired demyelinating disorders. Background: Obsessive-compulsive disorder (OCD) is a chronic psychiatric disorder characterized by recurrent, persistent thoughts and/or repetitive compulsive behaviors that cause anxiety or distress, are time-consuming, and cause significant socio-occupational dysfunction. Although OCD can be alleviated with pharmacological and behavioral treatments, up to 40-60% of patients do not have a satisfactory outcome. This paper aims to review the operational definitions and management of treatment-resistant OCD. Materials and Methods: A computerized search on Pubmed carried from 1980 to April 2006 led to the summarization of the results. 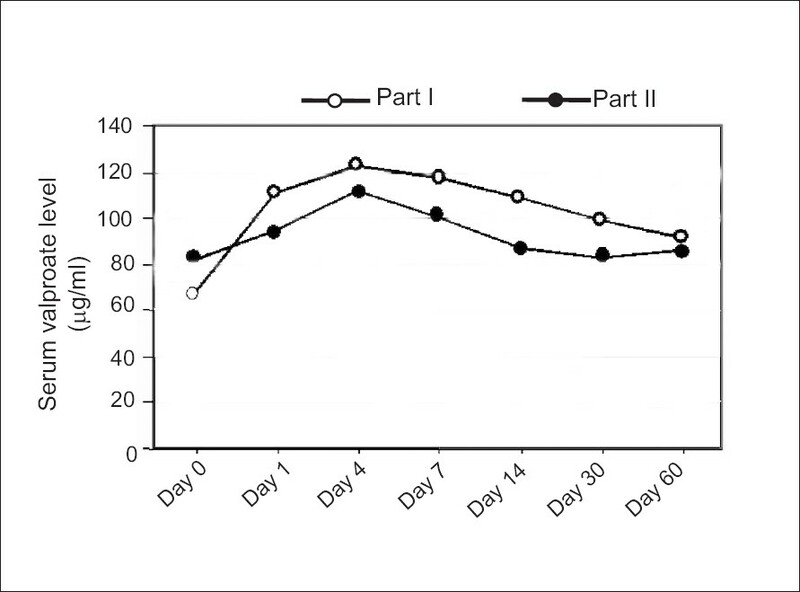 Results: There are several strategies to manage treatment-resistant OCD. To start with, it is necessary to define it and differentiate it from other comorbid psychiatric disorders. Adequate trials of selective serotonin reuptake inhibitors (SSRIs), including clomipramine, at the maximum recommended dosages for at least 12 weeks needs to be tried, along with cognitive behavioral therapy (CBT), before trying out other modalities of treatment, which include ECT, rTMS, and neurosurgery. Conclusion: OCD has various clinical and therapeutic implications as it has a chronic course. Unless diagnosed and treated in an effective manner, it carries the risk of becoming resistant to treatment. This paper attempts to present an algorithm of management that can be followed in treatment-resistant OCD. It also emphasizes the need to maximize the effect of each course of treatment before moving on to the next step of management. Stroke is potentially the most devastating consequence of vascular disease, causing long-term disability and placing high medical, emotional, and financial burdens on the patient. WHO STEPS stroke surveillance study, provided the framework for our study of stroke patients in Chennai. In our center, we followed only the STEP 1 study and only hospital-based stroke data were collected. STEP 2 and 3 involved study of strokes in the community. 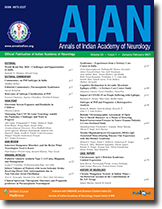 We found that 78% of our patients were in the 6th to 8th decades of life; 72% had hypertension, either alone or in combination with other risk factors; 4 weeks after the stroke, 51% of our patients were independent with regard to mobility and the activities of daily living, while 14% had severe disability. We found a mortality rate of 14%. We concluded that the incidence of stroke in the community can be decreased further by effective risk factor modification. The admission delay needs to be shortened from >48 h to less than 6 h. Our data also gave us fresh information about the recovery of motor function in stroke survivors at 28 days after the stroke. This study has focused on the interplay between epilepsy and religion. A total of 100 patients in the age range of 15-84 years were included in the study. 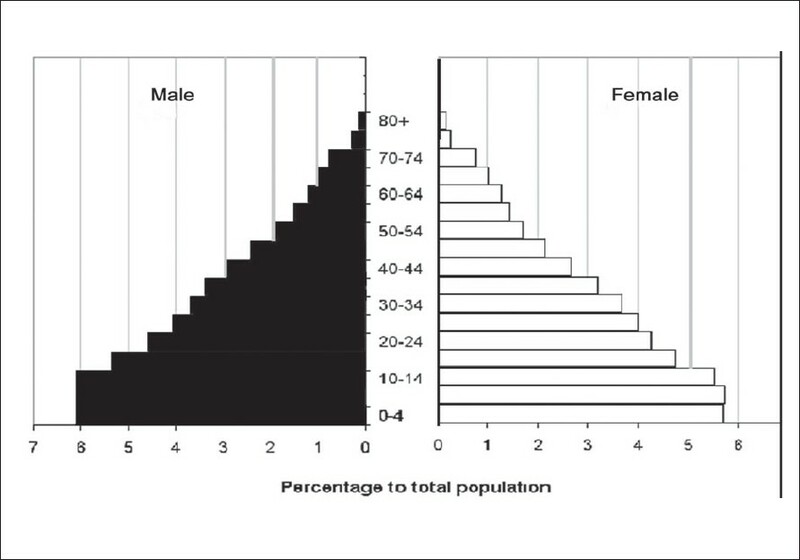 The duration of epilepsy in these patients ranged from 1-35 years. The majority (66%) had generalized seizures and good to complete seizure control (77%). Regarding social/religious beliefs, 6% of the patients attributed their epilepsy to the curse of God and 14% saw their affliction as a form of punishment for bad deeds committed in the current or past life. Epilepsy was regarded as contagious by 13%. After the onset of epilepsy, 7% of the subjects became skeptics and less religious, while 29% became more religious. Only 2% reported mystic experiences. There was, however, no significant impact of the duration of epilepsy or seizure type on the pattern of religiosity. In 44 cases with symptomatic epilepsy, no definite correlation was observed between the lesion site and laterality and the religious temperament. Delay in seeking treatment and poor compliance due to false religious beliefs, ignorance, and superstition was observed in 33%. However, all religious beliefs were not maladaptive and overall, 80% cases felt that religion had helped them in coping with epilepsy. 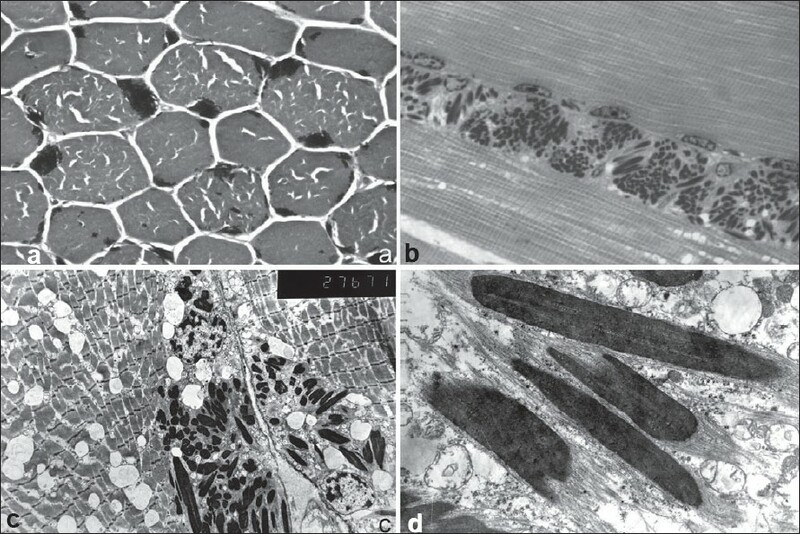 Nemaline myopathies are a group of genetically determined (autosomal dominant/recessive) congenital myopathies characterized by the formation of nemaline rods within muscle fibers. Congenital, childhood, and adult forms with hypotonia, proximal muscle and facial weakness, and skeletal deformities have been described. The diagnostic hallmark is the presence of nemaline rods on modified Gomori's trichrome staining. We report the clinical and morphological features of four patients with nemaline rod myopathy: congenital classic (2), childhood (1), and adult (1), and speculate on the disease's evolution. Acute aortoiliac occlusion is an unusual but potentially catastrophic condition causing acute limb ischemia and associated with early and high rates of mortality and morbidity. It is caused by either embolic occlusion of the infra renal aorta at the bifurcation or beyond or thrombosis of the abdominal aorta and its large terminal branches. 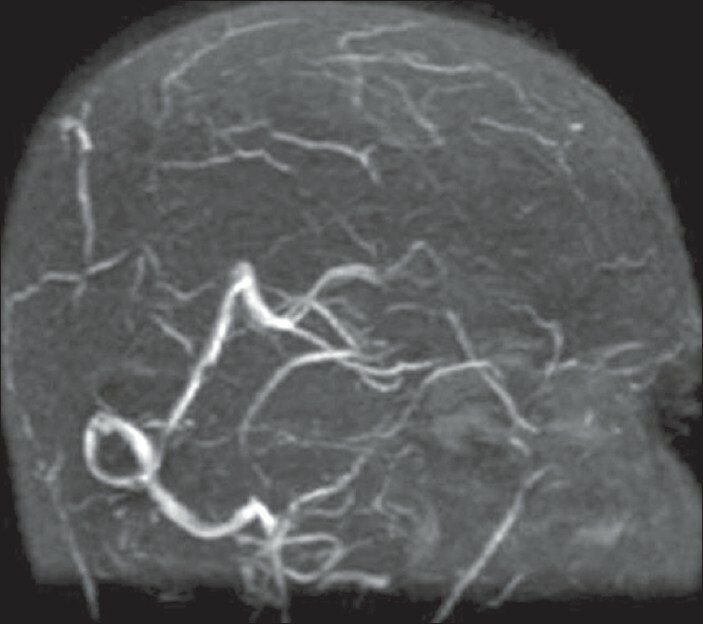 Neurological symptoms are rare manifestation of acute aortoiliac occlusion and when neurological symptoms predominate, patients are mistakenly considered to have cerebrovascular event. We present a 60-year-old man with atherosclerotic thrombotic occlusion of the left common iliac artery causing acute painful monoplegia. We mistook the acute monoplegia due to acute limb ischemia for cerebrovascular accident. 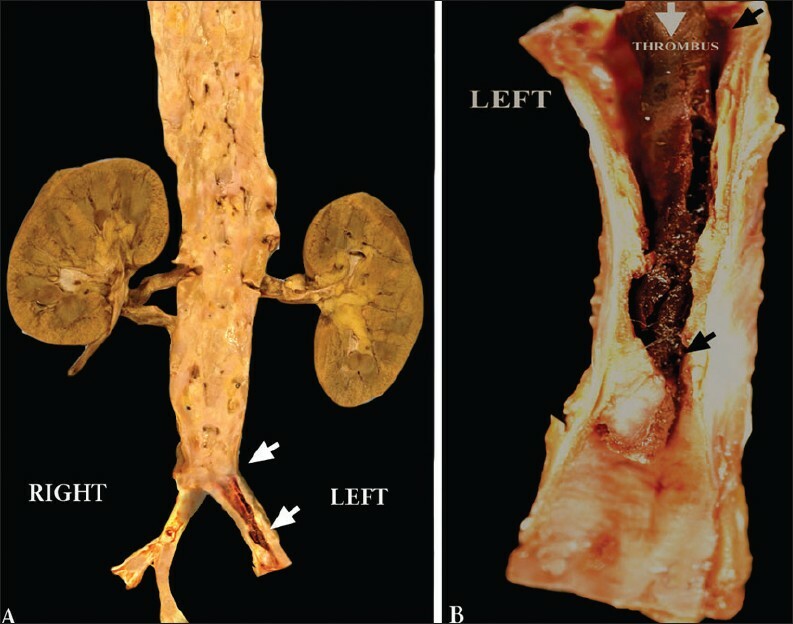 Pathologic examination revealed a firm thrombus occluding the origin of left common iliac artery and extending along the length of the vessel. Acute aortic iliac occlusion can masquerade as a cerebrovascular stroke and a thorough clinical evaluation and imaging studies allow early diagnosis and instituting life-saving treatment timely. Thrombosis of the intracranial dural sinuses and internal jugular veins may occur as a complication of head and neck infections, surgery, central venous access, local malignancy, polycythemia, hyperhomocysteinemia, neck massage and intravenous drug abuse. 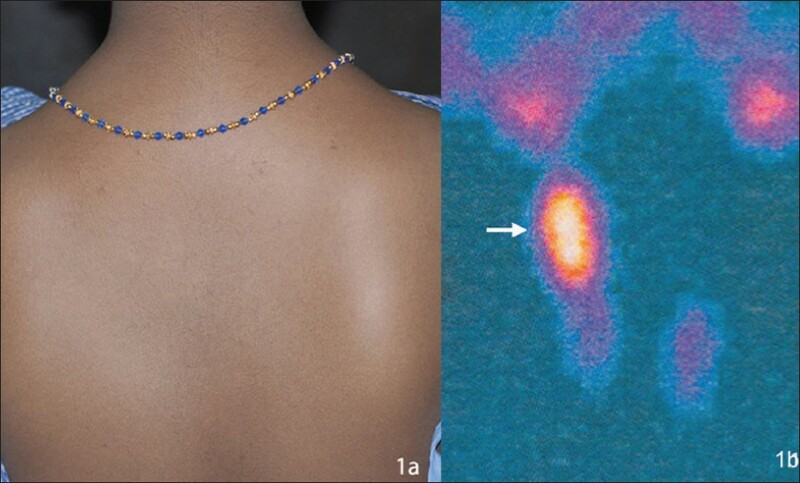 A high degree of clinical suspicion followed by adequate imaging is prerequisite to early diagnosis and management. We report a young man who had dural sinus thrombosis with jugular venous thrombosis following neck massage. Intracranial hemorrhage (ICH) is the most serious complication of idiopathic thrombocytopenic purpura (ITP) and is potentially fatal. It is rare, affecting 1% or less of patients and is usually subarachnoid or intracerebral. 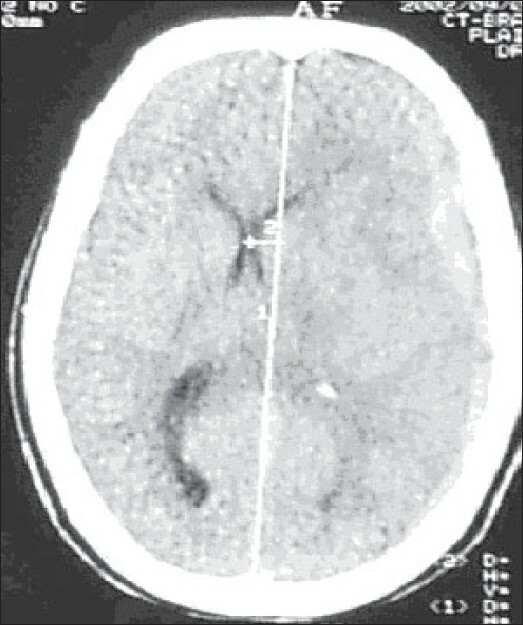 Isolated subdural hematoma (SDH) is rare and only few cases have been reported. 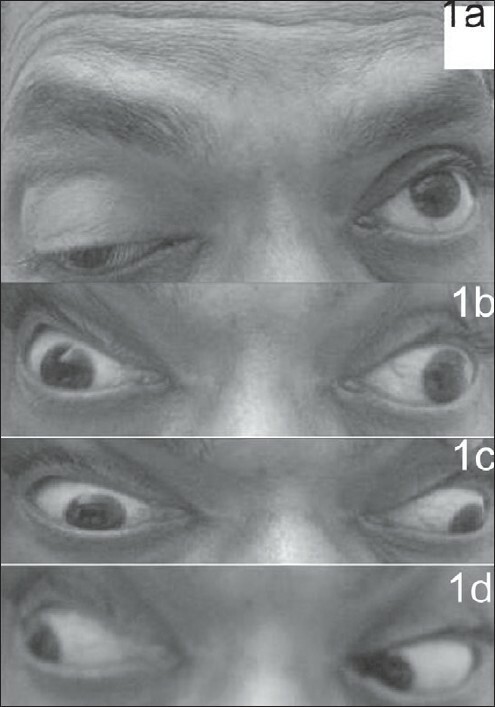 Two cases of acute SDH (ASDH) are reported which resolved with conservative management. 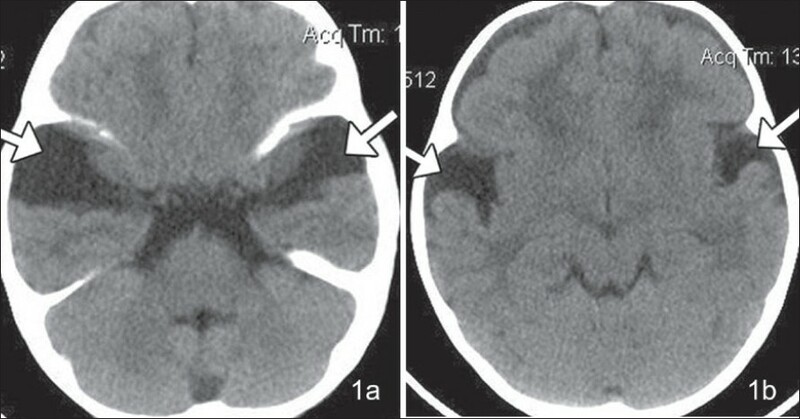 One of the patients later developed intracerebral hematoma also. In ITP, contrary to traumatic ASDH, the brain parenchyma is well preserved and hence conservative management may be safe in selected patients. 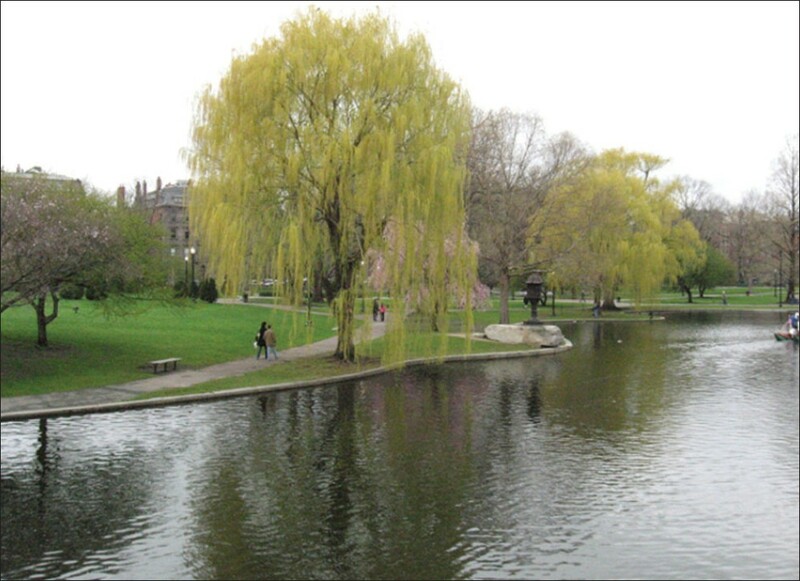 However, only a prospective randomized control study will give the final answer. Both the patients developed the hematoma consequent to low platelet count, which was not detected earlier due to inadequate follow-up. In a developing country, where proper follow-up is often lacking these problems are likely to be more common and are probably underreported. Increased awareness is therefore important to ensure proper follow-up and early intervention.